While I am not ready for summer to be over, I have to say, I love me some football. There are actually many things about the fall that I enjoy, but it tends to get overshadowed by the fact that I have NO love for winter. Boots, scarves, and cozy sweaters are favorite apparel items while taking in warm drinks, crisp clear days, and the leaves changing color. 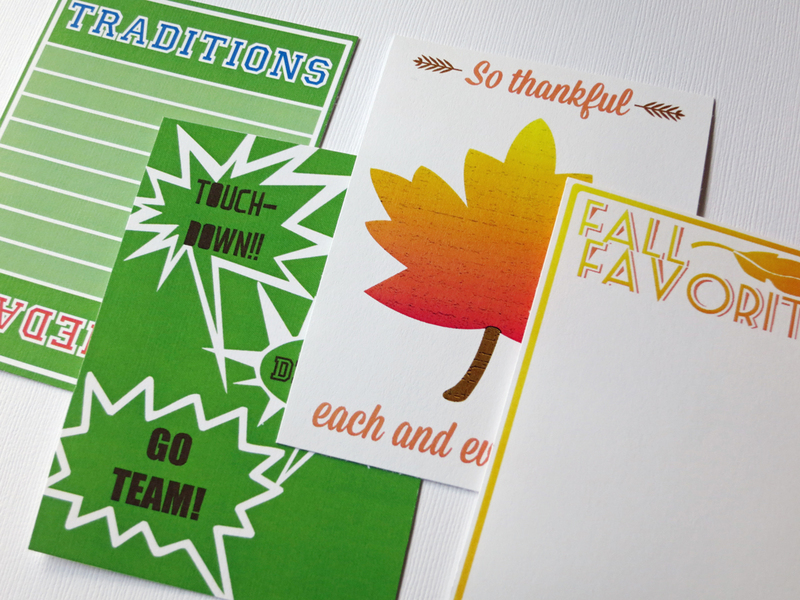 So that I have journaling and filler cards specific to the cooler days ahead, I created these and am happy to share them with you. You can download them here via Google Drive. I already know how I'll be using the football cards for September's monthly spread! Those are great cards, will love to see how you use them. 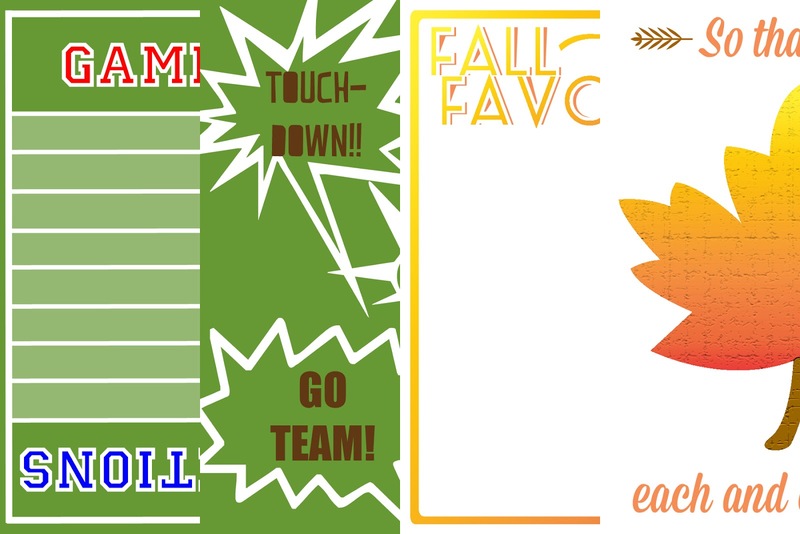 Cool cards, I don't follow any kind of football, but I do love the fall! Thanks for the download!